Notule van SANPO Algemene Jaarvergadering gehou om 09h00 op 12 Maart 2016 te Silver Valke Rugby Klub, Silverton, Pretoria. Die President verwelkom al die lede by die vergadering. Hy bedank al die lede wat die moeite gedoen het om die belangrike vergadering by te woon. Ds Tinus Grobler open die vergadering met Skriflesing en Gebed. Ds Tinus is ‘n ingeskrewe lid by Pta Oos klub. 3.Kennisgewing en Konstituering van die vergadering. Die President, Fadiel Hendricks, meld dat die kennisgewing van die vergadering betyds en korrek uitgestuur en geadverteer was. Die President het die vergadering amptelik geopen. Die sekretaris bevestig dat lede hul geloofsbriewe ingehandig het en dat daar ‘n kworum is. Die Presensielys is voltooi deur al die lede teenwoordig. Sal gekyk word na manier om verskoning te maak d.m.v. elektroniese media. Die volgende SANPO lede is tussen 1 April 2015 tot 12 Maart 2016 oorlede. Bekragtiging van die AJV notule gehou op 28 Maart 2015 te Bloemendal/Confirmation of the AGM minutes held on the 28th March 2015 at Bloemendal. Ferdie Lubbe wants to know the outcome of the audit as requested during the AGM in Bloemendal. Willy vd Berg thanked all fanciers who attended the 2015 SANPO Annual General Meeting in Bloemendal. It was a privilege for the FB to present it. When we look upon the events of our lives, in their rise and fall, in their ripening and withering and in their successes and failures, we cannot but feel embraced by their unpredictability. They are a circle of circumstances; of events that determine our destiny. From such a realization we become aware of an unseen or unexpected fate. My election to the position of the president of SANPO was definitely one of those cases. If you would have told me a year ago I’d be in this position, I would have laughed. But here I am, humbled by the responsibility, honoured by your presence and excited by the challenges. I feel with all my heart that SANPO is a sports body destined to make its mark not only on the face of South Africa, but in Africa and the international community. ’It was the best of times, it was the worst of times’. This roller coaster has reflected something of our ride for this past year at SANPO. There were things that had to be done for the general – and not individual – good. There was transformation that had to be effected to bring us into line. Change, as we all know, has never been easy. However, I do believe that through the hard work of my committee’s we have witnessed a rebirth in SANPO that has transcended so much. Our sport – something we all love – surely has to embrace the principles of truth, honour, dignity and, above all, fair play. Despite the challenging historical conditions, I’ve alluded to, it is the spirit of our members, your spirit that has continued to charter a course that places pigeons first – a sentiment I hold close to my heart, and a sentiment that I know is close to yours. There have been challenges, yes, but I’ve had a fulfilling year where a sense of excitement and optimism has overshadowed everything else. The excitement has been seeing what there is to be done. The optimism has been witnessing that we can do it. My confidence has been fired by the hard work, the incredible commitment and the time put in by my executive committee. Their devotion, their dedication and their determination to achieve the best for SANPO must be applauded. Well done! Undoubtedly, this achievement has been aided and abetted by the selfless support and contributions made by you, our honourable members too. I would like to mention some of the year’s highlights…. After arriving from the USA where I represented SA to judge at the US national fancy pigeon show in California, My course was set to resolve some issues which needed my attention, the first being to have a meeting with the NSPCA, here I would like to thank Dr Ockert Botha, Attorney Ahmad Cachalia and Willem Van Wyk who attend this meeting with me and I would say what a successful meeting it was. I think we understand each other much better. The next important meeting was with the Dept of Environmental Affairs in Cape Town, my thanks once again go out to Dr Botha, Prof Christo De Conning and Willem Van Wyk who attended these meetings with me. These two meetings were of vital importance to clear the air of misconceptions of pigeon racing and fancy pigeon showing. And what a success it was. We were task to draft a new addendum to the law which was passed in 2004 on the racing pigeon sport in South Africa. So that it can be Government gazetted. Given only 25 days to achieve this I can happily tell you all we achieved it yes gentleman we did, that’s the commitment we have amongst our board members of SANPO. A team so committed I can happily give you the assurance that any task will be executed. The administration was re-arranged, and various changes transpired on various levels where new elected members and appointed personnel joined SANPO. The road was now paved to look at other important needs of you the fancier the member of SANPO, who have placed their trust in us to keep this boat on the correct path and into calmer waters. I attended the SASCOC Presidential meetings with the sole intention of getting them to hand us a helping hand. After numerous personnel talks with SASCOC President Mr Gideon Sam and Board Member Mr Muhammad, we were finally given the opportunity to present our case, Here I will like to thank Retief Uys and Willem Van Wyk for making time available to meet up with Mr Raymond Hack the Attorney of SASCOC. One of many meetings that have taken place with many more to follow. If I must elaborate more on these meetings we will probably have to sit here for another six or more hours, In Short. We have now been given the mandate to govern ourselves and are protected within the law of South Africa. Within keeping our members at heart, our Clock committee led by the Chairman Mr Shane Gerber, is doing ground breaking work and opening up an area of the sport which needs our urgent attention, the opening of CAN’s and the cost of ID and electronic rings. He was also hard at work on the Constitution, as part of our mandate as acquired in March 2015. He and the Constitutional Committee did an outstanding job in consolidating the past six years’ amendments and also completed a final document of the constitution for the November AGM. This was long overdue due to various interpretation issues, and it was also provided to SASCOC for input and possible alignments. These Committees are driving crucial aspects for our Sport’s future. Here too if I’m going to elaborate too much it will take hours. But I can assure you under our watch we will do whatever is necessary to make the playing field level, because that’s part of the mandate we accepted from SASCOC. But in accepting this mandate we at SANPO have to transform according to the transformation charter as set out by the Dept. of Sport and in line with the SASCOC’s Presidential agreement of 2012. Here we need to give thanks to Prof de Coning who has initiated this process and developed a SPORT CODE of CONDUCT as a pro-forma and provided it to SANPO. This draft is a document which eventually will need to be adopted for all Provinces as SANPO align to the SASCOC agreement. In this association with SASCOC, lie many advantages, one being access to funding that we so dearly need to promote this great sport of pigeons, another the Legal frameworks and more even the possibility of advertisement and media coverage for our Sport. An example is right here, the National Fancy Pigeon Association, we receive funding every year. Through the NFPA and our association with the President of SASCOC, Mr. Gideon Sam we have developed a sound relationship and have opened the door to lotto funding, as SANPO could apply for lotto funding for the first time since SANPO’s inception. Here I need to thank Retief Uys as the prime driver, supported by Willem Van Wyk for all the hard work and dedication to get quotes to complete the extensive application form and meeting the deadline of 30 November 2015. In a continuation of the SASCOC mandate, we have to keep our good standing, and to ensure that, we have to ensure transparency on our administration and adherence to specific principles as prescribed by SASCOC and the law. Due to this the Financial committee had to develop a Financial policy, Tenders and a different mode of managing the Financials. Therefore, I am happy to report that most if not all of the obstacles has also been cleared and that the firm intention is that the SANPO’s financial status will now be provided on a monthly basis. On a different platform, I was privileged to have had several discussions with the SAMDPR, after Retief initiated a process of discussion and transparency. The goodwill we have acquired from the SAMDPR was staggering and resulted in the provision of three sales to SANPO’s benefit and various other agreements which will benefit the Sport in future. To my Vice President George Le Roux what a great help you’ve been this past year, in other words a shoulder to cry on. Johan Pretorius our Secretary, you’ve been my knight in shining armour, no task was for you impossible, you’ve made this past year a great pleasure. To Janet Dorling and Gerhard Schack we’ve been together for a short while but you both have the aptitude to climb this mountain with us. To the rest of our Board members, the Chairman’s of all the committees, Shane Gerber, Pedrie v.d. Merwe, Des Humpel, Bossie Boshof, Willem Van Wyk, Faunty Gilmer, Dr Ockert Botha and all the Board Members that contribute to the Sport in the various ways and support the Sport and SANPO. I would like to congratulate all the men and women who have received merit awards this year, well done and thank you all. 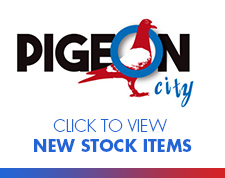 Starting with the Top Racing Pigeon Fanciers, Short distance race winners, Middle distance winners, Long Distance winners and the Overall winners, well done and Congratulations. You all deserve a round of applause for your achievements. I believe the success we enjoy at SANPO lies in our diversity. Isn’t the saying, “diversity is strength” a most powerful one? I believe it is the wide range of human potentialities that each individual member of SANPO brings to our sport that makes it the joy it is. Diversity is the spice of life; diversity is what represents the collective achievements of us all. It is said that tolerance and understanding are what complement diversity. These qualities are vital for our progress. So let us supplement these principles with faith; let us live life and enjoy this great sport of pigeon’s. Let us all give SANPO the opportunity to be the success it deserves to be. I thank you all and God Bless. Flip Wessels bedank die president. Hy meld dat hy baie positief is en veral die uitsette van SANPO wat hy gedurende die jaar waargeneem het. Graeme Sinclair also thanked the president from the smaller unions. Graeme specific mentioned the improved communication from SANPO to the members. Vrae oor BTW of SANPO kan deregistreer. Nuwe ouditeur (Meintjies en Vennote) is versoek om te ondersoek. Vrae oor LBS betaling van honorariums. Verdien minder as die SARS voorgeskrewe bedrag. Nie nodig vir SANPO om ‘n ERP5 uit te reik nie. Ouditeur is versoek om na die moontlikheid te kyk of SANPO die oorbetaalde bedrag kan terugeis. Vrae oor die waardevermindering. Geen SANPO beleid. Bates kan teen R1 waarde gedra word in bateregister. Rekenkundige beleid. SANPO het geen finansiële beleid gehad nie. Inligting van vorige tesourier betalings. Geen skriftelike kontrak. Alle kontrakte sal in die toekoms skriftelik wees. Hoekom is SANPO se uitgawes meer as die inkomste? SANPO oorleef op die rente van die belegging. Ledegeld te min. Koste van die nasionale hokke. Ouditeur het transaksies self ingesleutel en die weer ge oudit. Maandelikse staat van inkomste en uitgawes. SANPO het nie elektroniese bankdienste gebruik nie. Beweeg na tesourier wat inligting op bv. Pastel laai en elke maand finansiële state beskikbaar stel. Detail posbeskrywings van die tesourier en voorraad beampte is opgestel. Nie dieselfde persoon nie. Fokus was slegs die boekstawing van finansiële inligting en nie die oudit daarvan nie. Rolle van die ouditeure word bespreek. Uitspreek van ‘n opinie of die behoorlike oudit van state. Wees nie geskrewe finansiële beleid kan ouditeur slegs inligting insleutel en ‘n opinie gee. Alle punte weens gebrek aan ‘n finansiële beleid en kan die ouditeur nie direk verantwoordelik gehou word nie. Pedrie: Aanstelling van die ouditeur sal meebring dat die oudit koste sal daal. Willem bevestig dat die tesourier die state sal opstel en aan die ouditeur gee. Treasurer report compiled by the treasurer and presented by Willem v Wyk. The following issue was resolved when processing the FICA requirements with Nedbank – Mr R van Rooyen was still one of the authorised signatories on the Nedbank system. The commitment by SANPO to carry these expenses was made in 2013 already but only paid in the 2015 financial year. No contingent liability was reflected in the financial statement in the previous financial year/s regarding this matter. The payment of PAYE to SARS by SANPO are in these instances considered as being part of the Honorarium payments to the relevant officials and are thus included in the abovementioned figures. After discussions with the auditors it became clear that it is very unlikely that SANPO will be able to claim back the amounts for PAYE paid for, from SARS. Considering the above, the loss of R 163 510.59 as reflected in the 2015 financial statements could in actual fact been a profit/surplus of R 115 673.61 had these expenses been reflected to the year/years in which they relate to or have been committed to by SANPO. An audit was conducted during the 2015 financial year and the net costs incurred amounted to R 71 085. I wish to thank the two sponsors for their contribution of R 16 550.00 towards these expenses. The SANPO policy is that organisations pay up front for their ID rings when placing their orders. The figure of R 325 836.91 for trade debtors is excessively high as a result of the increase in the selling price of the rings due to the fall in the Rand/Euro exchange rate by the time the overseas supplier was paid. At year end we had to provide for the payment of the ID rings to the overseas supplier. This amounted to a Rand amount of 627 825.73. This payment only took place on the 12th of January 2016. Part of the delay in the payment was due to the fact that we first had to comply with the FICA requirements of Nedbank before they would allow us to transact on the bank accounts. We did however, (with the approval of the member committee of the Pretoria Wedvlugduiwe Combine) in the meantime have done some of the banking transactions via their banking facility in order to pay some of our creditors. The above provisions were made to keep in line with the matching principle, ie provide for the cost/expense in the year to which they relate to. Willem explains the tender for life rings. President thanked Willem and his team. President mentioned that all financial actions are and should be in line with the SASCOC requirements. All Pet Shops will receive a letter from SANPO in connection with the selling of live rings. Is this a SANPO member? Ferdie: Change rules for payment. Payment should be upfront. Request that the Financial Report be included in the AGM minutes. See detail Financial Report as presented by the chairman of the Financial Committee. If we dissect the Financials of SANPO, the following elements manifest. We have income which stems from a couple of revenue streams. Income from Membership fees @ R 50 per member which equate to about 3680 members paid. Income from Sales of Stock, mainly life rings. Income from Interest we generate from the various funds we have on hand. Income from the One Day Lofts. Income we acquire from donations from members, direct and indirect. If we look at expenditure items, we have various requirements of which the following denote the major aspects. Expenditure to attend various Government or other Stakeholder meetings. Expenditure to acquire Stock, which is then translated to Revenue. Expenditure on One Day Lofts, mainly the Kroonstad and the E-Cape loft at present. Expenditure on Audit and Taxation matters. Expenditure on Dope testing related matters. However, during our discussions with our previous auditors in Bloemfontein, Mister Claase stated that SANPO is in effect surviving on the interest generation capacity alone. This is a concern, and he has apparently warned SANPO about this situation for the previous years. I could not find any minute containing this warning Mister President, so if the previous management were informed, it seems that the message has been lost in translation. Therefore, and irrespective of what and how we reflect the income and expenditure, we need to be conscious of this statement. On a financial management point of view, the logic would be to curb expenses. This seems straight forward and quite easy from a layman’s point of view, but in fact is not as easy as it would seem given our history and the various aspects we had to contend with during this year to rectify various matters. The SANPO Congresses are expensive, but let me deal with that in the context of SASCOC and related Sport Federations requirements. As a collective Mr President, we need to determine if we want the Sport to grow in South Africa or let it decline. Let me clarify, there is a distinct expectation from SASCOC that we need to market the sport to all South Africans and that our house need to be in order on an administrative level, before they will consider assisting us. With our recent discussions SASCOC has alluded to various forms of assistance from which we can benefit, but as always there is a requirement that has to be met. To start the process, SASCOC’s Presidential committee has agreed that all Federations will re-organise in Provincial context as far back as 2012. The reason was that all SPORT federations could then on a National as well as a Provincial level apply for funding to assist in developing the Sport and could also acquire funding for the congresses, if I understand the processes correctly. SANPO, mister President, failed to do that since the inception of this process. The question that I am forced to ask is WHY have we not started this process three (3) years ago? Why could the Fancy Pigeons acquire funding and the rest of SANPO could not? In addition, Mister President we have to learn three (3) years later that SASCOC is willing to provide assistance to send our Sport’s marketing material to ALL other Federations, at no cost to SANPO. We have to develop the marketing material, but that would be a small component of the cost. This would enable cross marketing of our Sport to other Sport Federations. We missed these opportunities as well. In the same vein Mister President, I must inform the assembly that SANPO has the power to declare any race event in South Africa as an INTERNATIONAL event, and inform SASCOC of this aspect in writing. SASCOC will then inform Super Sport, which will then film the event, at no cost, and provide some airtime to the Sport. SANPO can decide based on specific criteria;( i.e. 60% of the entrants are International participants, or that X amount of countries are presented), that the one day loft’s race is an International event and all the hotspots and the final races could then be covered. I think Mister President that we need to avail ourselves of these opportunities. On a Legal environment, SASCOC has a panel of arbitrators, which we need to understand how they can assist in arbitrating specific aspects of the various conflicts that we are engaged with. We do not yet have the full terms of reference, but we need to ascertain the process of engagement. I do not think, Mister President, that any of us was aware of these facilities. This has the potential to assist in diminishing the Legal fees, if we can acquire the mechanism to activate the processes correctly and can understand their processes. SASCOC has indicated that SANPO should consider the same process but that SANPO could also engage with SESSA or other type of companies with this kind of infrastructure. From a Doping perspective Mister President, we have been engaging via SASCOC with SAIDS (South African Institute against Drugs in Sport), and we need to provide all our manuals and lost cases to them in order for them to assist us. They have already identified a Professor in UCT which we will work with us to acquire an understanding of how the processes and methodologies as well as the test need to be upgraded. SASCOC has a clear and definitive point of departure on Drugs in Sport, and they are brutal in their approach. If they acquire the methods, they want us to test every team every week. We know it is not possible, either practically as well as financially, but that provides an indication of how serious they consider doping. We will need to understand more, but they are concerned that we use fellow fanciers to test other fanciers and indicated that even if they are trained, that impartiality in a court of law may be an issue. This could once again cost us Mister President, so we will need to consider these elements and the way forward for this year on Dope testing, carefully. The attendance of Government induced meetings is not at our request, but for the Pigeon Sport in South Africa, we have to attend it. These meetings are irregular and cannot be sufficiently planned for. In most instances we are required to attend to defend our sport, like our meeting with the DEA, and the various meetings with SASCOC. May I add Mr President that in most of these meetings no members of the board raised any claims to SANPO for travel and subsistence and therefore there was no financial implication to SANPO, except the aeroplane tickets. My thanks to those members for their generosity. The NSPCA meeting was required due to our history with the NSPCA and to put an open Court order to bed. The execution of the tests and the effect thereof, we have successfully transported to the Unions or Federations who want to participate on those distances, and therefore SANPO has no immediate financial liability. Once again, no member who attended this meeting raised any claim to SANPO for travel and subsistence. My thanks to those members as well. Regarding stock procurement, mainly the life rings, the financial committee has drafted a tender for life ring manufacturing. Mister President, the price of rings in Euro, does not make economic sense, and therefore I implore the Council to consider an alternative approach. If we refer to the sheet provided, we will see that +- 540 000 life rings were sold last year at an enormous cost. The other stock items rand value is low in comparison and can be sourced locally. The SANPO one day lofts is a concern Mister President, and although the E-Cape loft is on the uptake for this year, SANPO had to carry this loft now for two years. In all fairness, the Kroonstad loft was in limbo due to the Lotto application, which was circulated to all council members. We are still awaiting the outcome of that process. Not to detract from the proposal that we agreed upon, Mister President, we will need to move the loft to the premises in Cape Town sooner rather than later, as I do not know the current state of the loft on the farm. I have an unsigned copy of the contract with Mister Erasmus, but I think there is a limit on goodwill, as the loft is not currently in operation. To clarify the situation Mister President, we also need to note that the bigger financial investment in the loft was the cement floor and the foundations. This cannot be removed and it should have been designed differently if the correct oversight transpired. These items are a dead loss to SANPO. I must therefore state that the One Lofts Financials currently do not make a lot of sense, and there are various one day lofts which provide these facilities to fanciers. We need therefore to carefully consider our way around these aspects, and I did inform the chairman of the SANPO constitution about the possibility of having a separate clause for one day lofts and how SANPO can deal with them. Mister President, then allow me to brief the assembly on the success that SANPO had with the discussions with the SAMDPR. Mister Holt has given SANPO three (3) auctions as fund raisers, and has made a significant contribution towards electronic rings for disadvantageous fanciers. In addition, Mister Holt has also agreed to provide SANPO with a write up of the rules and regulations for one loft race facilities. If we can consider these aspects succinctly Mister President, we can as a collective develop a model in which these lofts can also become a constant revenue stream for SANPO, and my simple proposal would be that SANPO ask for one auction from every one loft race, dedicated to SANPO’s development fund. Next, Mister President, on a moral request, I think it is fair for all members of SANPO to ensure that one day lofts birds that they have in their possession is legally obtained. It would seem that a lot of our members has “stray” birds in their lofts and in the case of the SAMDPR each constitute a $1000 dollar loss to the loft. SANPO will need to consider its position in this regard. I need to re-iterate the guidance from SASCOC, Mister President. SANPO as a collective under the Accounting Officer’s guidance, your esteemed self, must ensure adherence to all demand and supply management principles in accordance to the various laws on the subject. Therefore Mister president, we have to have a financial policy, as policy outlive individuals, and we have to ensure succinct governances are in place to ensure our status of “Good Standing” with SASCOC. This translates that whenever SANPO develop a contract, that the operational policy, standards, procedures and guidelines need to be developed to ensure that we do not spend money on items, which was not received, controlled and signed for delivery. This Mister President means that you in your personal capacity can be held responsible for any loss so incurred, if you do not ensure that a contracts execution framework is in place and not monitored correctly. The previous Doping Contract with Mister Schalk de Kok comes to mind mister President, as the execution framework by admittance of the previous Financial officer was not in place as per e-mail received, and payment transpired without proper controls to ensure effective delivery had transpired, as nobody verified the amount of doping tests concluded versus the actual invoice before payment was conceded. These practices cannot be repeated Mister President as all are now aware of the liability. I therefore implore the assembly to apply their minds to the financial policy issues on the table as we need to reach agreement on those items as soon as possible. With regard to the financial progress for this year, I think it is fair to put all matters in perspective. I am in a position to report Mister President that all data on the financials are now captured in Pastel as agreed with the previous auditor of SANPO and as endorsed by the current auditor of SANPO. The council need to take note that Mister Schack only started effectively on the 1st of November and had to acquire all data and re-capture it into Pastel for the auditors. During the same period the PWDC assisted SANPO with payments to ensure the transition process could be concluded due to the fact that there were no facilities to ensure payment to any entity. We apologise for the inconvenience if any, but all SANPO accounts were frozen due to the fact that we had to get the new signatures aligned and then establish an electronic banking service as well. To date the Treasurer has physically engaged in person with the bank to get all payments executed, and it took both of us about five weeks of engagement with Nedbank to conclude the matter to a working state. We would therefore promote Mister President that SANPO consider having a single account for operations and an investment account for the rest. All other lofts or ventures can then acquire their own T account in the General Ledger and Mister Schack can do the calculations of interest accrued on that basis. The fact that SANPO has an account for every aspect is costing us money which we do not want to spend, and if there is no activity for a given period, Nedbank just locks the account. In support of the above proposal, Mister President, we have been interrogating ways and means in which we can acquire more interest on our accounts, and I have acquired a conservative estimate from Old Mutual of 6.5 to 18.5 % depending on which fund we want to put our money into. All funds still have the capability of withdrawal upon a time frame of notice, and the council will hear more input to this matter in due course. Fact is this is a council decision and one which we can only recommend in order to generate more income for SANPO. The payment of R 100 413.62 of legal fees to the PWDC was actually incurred in 2013, when the then President of SANPO stated that SANPO will pay the legal fees as SANPO was the one who made the decision to change the race rules which were put into dispute. This statement, Mister President, should according General Accepted Accounting Principles, have led to either a note or a provision in the Financial statements of SANPO that indicated the future liability. I could not acquire such inscription in any of the past two year’s financial statements, and therefore, as the previous process did not make provision for this payment, it reflects only in this financial statement as a final payment. This put the current financial statement in a negative position as the payment was not provided for as it should have been. This was a serious oversight as SANPO was fully aware of this liability as advice by council Adv. N Dreyer in 2013 and 2014. The expenditure on honorariums for 2015, Mister President, as indicated in the financial statements, has been rolled forward and accrued under the honorariums. The way that we were advised to do it is to ensure provision is made therefore in advance of the payment as we know what the amount is to be, and therefore there is a double impact on this item, the year as paid previously (2014) and the provision (2015). This would then indicate a double payment on the statements for this year, 2015, only. In addition, you will see there is no additional honorarium for the various lofts, as that has been cancelled Mister President. As agreed in April, it does not make sense to pay an R 10 000.00 honorarium per loft, if the administration thereof is 300 to 500 entries and 100 payments per annum. Why this situation was not previously monitored and reviewed Mister President, we do not know. In addition, the honorarium paid in the previous financial year will be drastically diminished as this expense item have been consolidated and will stabilise to what the board has given instruction to, only a honorarium and no extra tax payments. The amount shown in the financial statements will therefore be the amount paid. It must be mentioned that on the 2014 Financial statement the Kroonstad loft on the fixed asset base included the liquid asset of the R301 781 investment in the bank account. This was an error in the financials and rectified.  Mister George Le Roux, the Vice President has provided the school concept which individual members are driving at this point in time.  The efforts with the SAMDPR have rendered three (3) individual sales to SANPO’s benefit.  The Lotto application has been completed, and we are awaiting the results.  The SASCOC engagements have confirmed SANPO’s status, but have also given us potential access to mechanisms which may be utilised to save cost for SANPO.  The various engagements with the clock committee has resulted in indirect benefits as CAN’s will be opened to all clocks and Mister Shane Gerber is on the verge to acquire commitment from the various ETS suppliers to open clocks to read various rings. In this we foresee better competition for the market and more value for the South African fanciers.  The life ring tender has been developed and upon approval and possible amendments, it can be published to test the water for less expensive life rings for South African fanciers.  Proposal for accrual of interest on different mode of investment has been researched and is pending a discussion. On a Financial Management note Mister President, the historical information as well as the audit reports were used to develop an approach and a financial policy document, but with the various elements of several committees’ that may be influenced, we will possibly have to reconsider certain aspects. Therefore, the Financial committee, needs to present a couple of principles for discussion to guide the council and to test specific assumptions in order to generate a realistic budget. Principle number one is to advocate a tender for foot rings, which we deem can be a cost saver and put the rand /euro aspect to bed. To this effect we have projected that Income from Sales could reach a total of:- R 1.2 million based on +/- 570 000 foot rings @ R2.10 per ring, while the cost of sales would then be R 860 000, given no price increase of the ring cost. The price above may differ depending on where we can acquire the best prices for foot rings and / or if the tender is approved. Therefore, we promote a tender process to test the water in the market. Principle two is Membership fees. With all due respect, if we have to be in several places across South Africa to meet Government and other stakeholder demands, our expenditure on Travel and Subsistence will increase. In the absence of any alternative funding we have to mention that a Membership fee of R 50.00 per annum is totally undervalued for what the fanciers are acquiring in return. To this effect we would like to propose an increase in Membership fees to the extent of R 20.00 to R 70.00 per member with a principle escalation of CPIX % increase at the end of February every year. Conservatively estimated this should provide SANPO with R 257 600 per annum. We have projected these amounts based on the paid up members of 2015. Principle three is All Pigeon Fanciers need to contribute to the SANPO funding of Membership fees. Mister President, we are all aware that there are various members who do not pay and procure rings from Pet Shops or other fanciers. We are therefore aware that there are members and organisations who are not paying any fees. This must be addressed in order for SANPO to acquire agreement to close the gap on this aspect. We currently argue that there must be about 4500 fanciers in which we know, only 3680 is paying. We require serious commitment per Province and per region from all Council members to address this issue. The deficit here is estimated at about R 57 400. Principle four; an additional revenue stream has been identified in the light of SANPO’s agreement with the SAMDPR, and towards that principle, we would like to promote that every one day loft dedicate one sale to SANPO’s development fund. This fund will then be created to develop the sport and all provinces / regions would need to apply and request funding which the full council need to approve for the next financial year. Principle five is Lotto funding. The Lotto fundraising and application has been agreed to by our first application in 2015. SANPO need to accept as a principle that on a National level, SANPO will apply for funding based on the pillars as identified for the total SPORT research and development on a National level as distributed, but that every Province will apply for funding on a Provincial level as well. This will necessitate some co-ordination, but as that is the 2012 agreement on SASCOC’s Presidential council, SANPO will have to execute the re-structuring in this financial year. In principle we would then promote that SANPO only cover the cost of one Provincial delegate to the SANPO Council meeting, but that the Province has the right to send a second council member from Provincial level to the SANPO Council Meeting at their own cost. On Legal expenditure, it must be stated that various aspects of Legal costs will arise and to that effect, the Financial Committee propose membership to SESSA or a similar institution, as well as a clear and unambiguous process to determine how and when the SASCOC structures can be invoked. On the income generated from our investments, the Finance Committee has defined that one consolidated account for all investments need to be created and that this investment then needs to be re-structured conservatively with a major role player like Old Mutual to acquire a better interest than the 4.5% on accounts. The Finance Committee thinks this revenue can easily double if we invest wisely under proper governances. The audit fees in 2015 is still split between Audit fees and then Accounting fees which were paid to the same company due to the fact that they re-captured the hand written records to Pastel. We promoted and agreed that NO accounting fees will be payable, as agreed in 2015, due to the fact that the present Treasurer must accomplish this task. The honoraria per loft, has also been cancelled, as it does not make sense to pay a honorarium for entries which actually form part of the treasurers accountability as a whole. The VAT aspects must be analysed by the new auditors to determine liability and position for SANPO. The PAYE on any honorarium is cancelled in total as none apply due to the amount to be paid as honoraria, therefore there is no IRP5, and the onus is on every office bearer to declare his or her honoraria as part of his income to SARS. Due to advice acquired from the SANPO auditors, we promote a radical different approach to known expenditures. In this we promote a provision in the financial year in which we know a specific expenditure will occur. For Sport Development, we feel strongly that SANPO needs to develop material that SASCOC can distribute to other Sport Federations as promised. This material needs to be defined and promoted in order for the Sport Development component of SANPO to request a budget. As indicated and based on some of the principle agreements, the following is presented as a high level “Income and Expense” budget with provision for specific items as discussed. As input was requested from other SANPO committees, said input has not been fully acquired, and therefore the following is deemed as a “Forecast” only. Kroonstad hok is al reeds twee (2) jaar gesluit en SANPO sukkel om die hok van die hand te sit. Sal weer verkoop van hok adverteer. Standplaas waarop hok staan is reeds verkoop. Mark Kitchenbrand bied aan dat ‘n gratis advertensie in die duiwe tydskrif geplaas kan word. Die 2015 jaar begin deur ongeveer sewentig (70) duiwe vanaf Kroonstad oor te plaas. Ingebreekte duiwe het baie goed presteer. Plaaslike komitee het totale bestuur van hok oorgeneem. Baie goeie werk is gedoen. Baie positiewe terugvoer. Doelwit was altyd om ‘n inkomste stroom vir SANPO te bewerkstellig. Faulty het dit suksesvol oor ‘n vyftien (15) jaar periode bereik. Volgens Pedrie hang die sukses van die hok af van 1. Beginsels 2. Hoe word die hok bedryf. Pedrie noem ook dat die profiel en die speelveld baie belangrik is. SANPO raad het toestemming gegee dat die huidige bestuur die hok kan oorneem by SANPO. Aanbod van R140 000 is deur die raad aanvaar. Mandaat van 2015 is daar steeds behoefte vir ‘n ontwikkelings hok. Besigheidsplan sal opgestel word. Faunty bevestig dat die NOK moontlik sal belangstel. Beginsels moet nog uitgetrap word. Despatch hok word verkoop teen R140 000 betaalbaar oor drie (3) jaar. Eienaarskap vanaf 11/04/2016. Moontlike afskrywing van die Kroonstad hok word bespreek. Terugvoer – Willem: Hok staan twee (2) jaar reeds leeg. Plaas is reeds verkoop. Fondasies ter waarde van R225 000 kan nie uitgehaal word nie. Res van strukture staan steeds. SANPO het vir een jaar reeds probeer om iemand te kry om die hok te verwyder. Beste aanbod ontvang was R2500 vir ‘n seksie. Willem verduidelik die LOTTO proses waar Retief aansoek gedoen het. Fondse sal dan aangewend word om die hok na die Wes Kaap te vervoer. Probleem is egter dat niemand die hok wil bedryf en bestuur in die Wes Kaap nie. Navorsing oor algemene bestuur en siektes. Lotto aansoek dokument is beskikbaar aan lede. Wag tans vir LOTTO besluit. Navraag: Teen watter waarde moet Kroonstad hok in boeke gedra word? Aanbeveling dat hok afgeskryf moet word. Elke hok het wel eie stel finansiële state. Vorm egter deel van die SANPO state. Huidig sal SANPO R14 000 vanjaar afskryf en R52 000 vir die volgende drie jaar. Bo R250 000. Algemene Jaarvergadering. Perke is soos die wetlike vereistes bepaal. Mark Kitchenbrand noem dat ‘n lid in die Oos Kaap wel sou belang gestel het in die koop van die hok. President wys daarop dat die hok vir etlike maande geadverteer was. Shane bevestig dat alle lede die geleentheid gehad het om ‘n aanbod te maak. Voorstel ontvang dat Kroonstad hok afgeskryf word. Allen Jordaan stel ook voor dat voorstel aanvaar word. President: New loft should be for science purposes. Following the meeting with the NSPCA, there is no proof how far a pigeon can fly. No tests anywhere in the world. 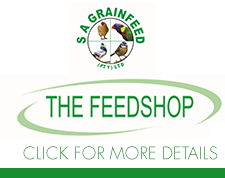 Dr Botha is involved with Onderstepoort to make professors available to assist with the scientific tests on pigeons. Also as a development loft. Members can’t afford to fly in the current “ONE LOFT RACES”. No price money, only certificates. Looking at a student/bursary fund. To be vets for the pigeon fertility. Shane bevestig ook dat die Despatch hok sal ook vir ontwikkeling gedeeltelik oopgestel word. The 2016 NFPA EXCO and all its members have grabbed this opportunity once again with both hands, with a clear display of passion, commitment with unmerited and esteem to ensure their pigeons are winners on the day. Once again the City of Cape Town has reached deep into their pockets and is our primary sponsor. They are covering all expenses pertaining to advertising, trophies, for Breed winners and Certificates for Breed Champions and Reserve champions’. Panorama Pet Shop and Oakdale Pet Shop are two more sponsors. This year the Awards Ceremony will take place at the Bellthorn Hall in Turfall, Lansdowne. It will be a night of fun and excitement. The NFPA Nationals is going to be an event not to be missed. It will take place from the 13th to the 17th of July 2016. The NFPA has already kicked off the year with the Fancy Pigeon Exhibition at the Ramot Bazaar in Parow. It was a tremendous success. Next month we travel to Port Elizabeth where we will partner the Eastern Province Pigeon Union in a combined Regional Show at HUMEPARK, HUMERAIL, PE. Shane Gerber and his team have extended a warm invitation to all SANPO and NFPA members to attend. We look forward to a great event. President reported that there were extensive meetings with the NSPCA and the Dept of Environmental affairs. Agreement with the NSPCA: Testing of pigeons. Through the SASCOC discussions we received the mandate to coven ourselves. Document drafted and submitted to the Department of Environmental Affairs. The NSPCA will only police cruelty. Document will be gazette in April. Shane: Document that was submitted for commentary on the particular law. A Fancier under the age of 18 years. Sure there might be some juniors who have wealthy parents and can afford to pay full subs and membership fees as if he were a Full Member, however this is not the point. Juniors’ members could range from any age e.g. 6 years old up to 18 years old and there are some important matters that we should consider. 2) Juniors should not have a right to vote on any matters associated with Normal membership of Clubs/Federations/Union/Fancy Clubs. 3) Only once moving out of junior ranks does a junior get full voting rights. As the constitution remains silent on this matter, I would suggest we need to insert such a clause. The reason for this is that most 6, 8, 12, 14 year olds are still learning what is right or wrong, forming opinions very often based on beliefs of the parents. Not only can this be manipulated to support the parent’s point of view, their vote could influence the outcome of rather important issues which they have no clue on. Even our country does not allow a vote from any person under the age of 18, you cannot obtain a driver’s license for a motor vehicle under the age of 18 and many other examples can be referenced. There are very specific reasons for these laws and the right to vote should be treated in the same manner. Define what a junior member is and the right to vote. Requirement from SASCOC is that the national body realigns with the provincial structures. There are nine provincial structures in South Africa. Ultimatum given in 2012 already. Presently SANPO is structured in regions. Needs to be in line with the SASCOC requirements and structured on a provincial basis. Basically it means that the regions will be reduced to nine. We need to align the SANPO constitution. Proposal is that SANPO will be structured in the provinces, each province will have their representative and each province can also have a second representative but all costs will be carried by the province. This is costs for attending SANPO meetings etc. Daar is groot voordele daarin om ons provincial te organiseer. In die Wes Kaap is reeds twee jaar gelede gedoen (Maart 2014) en daar is breedvoerig daaroor gepubliseer in die duiwe boekie. Reeds sulke samesprekings is ook in Gauteng aan die gang. Geen bedreiging aan die bestaande organisasies of unies nie. In die Wes Kaap was bv die Western Cape Classic waar al die trokke ‘n wedvlug saam gelos het. Not only responding to a SASCOC requirement. Flip Wessels: SANPO moet die streekverteenwoordigers verplig om bv twee keer per jaar vergadering hou met sy streek. Daar is provinsiale sport rade sowel as distriks sport rade. Het basies ‘n provinsiale duiwe liggaam wat aangestel word wat reeling het met die provinsiale sport liggaam. Op distriks vlak is dit dieselfde. Dit stem ook die provinsiale en distriks liggaam is staat om vir befondsing aansoek te doen. Een van die voordele is daar ‘n verhoogde vlak van integrasie plaasvind bv. koördinering van loslatings. Major concern the feedback the fancier given to the public. Suggest a pound master. Pound master sends out notification of lost pigeon. If not successful, pound master informs the governing body. The positive is that the bird is immediately taken away from the public in a proper way. Bel die lid kan probleem wees. Kry nie altyd lede in die hande nie. (24 uur) Kyk na die elektroniese ringe wat inligting dra. Voorstel dat SANPO proses na die unies en federasies verwys. Moet deur SANPO geformuleer word en uitgestuur word na alle organisasies. Faunty: Ondersteun dat eie organisasie die probleem oplos self. Faunty stel ook voor dat organisasies sodra hul vergadering gehou het, terugvoering aan die SANPO sekretaris gee. Graeme Sinclear: Delivery point for the public. Lost pigeons in different cities. Basic SANPO guideline to the unions. Geen kaartjie stelsel in gebruik in Suid Afrika. Faunty versoek dat indien inligting verkry word waar die duiwe boer versoek dat die duif doodgemaak moet word, moet die inligting na die SANPO sekretaris deurgegee word vir verdere optrede. (4.) Dope Testing and sanctions. NB: There should always be a proper disciplinary process. Guidelines for classification of prohibited substances. Post race testing is acceptable. Onus on fancier to ensure that his pigeons are clean from any banned or prohibited substance with basketing. Testing in competition on night entering the competition. Discussion with SASCOC. What went wrong in the past as testing is concern. Training of fanciers to do the testing. Onus should be with suppliers. Video gee duidelike verduideliking van toets proses. Allen stel voor dat 3de “sample” deur eienaar gehou word gedurende toetsing. Safety factor and the exceeding from upper limit explained. Kennisgewing van uitslag van toetse van die Jockey klub. Manier of behoorlike kanaal van informasie moet na gekyk word. ORDA co-op. Profit organization. SANPO NPO. Will discuss with SASCOC legal advisors. Wesrand Spesialiste Posduif Klub. Sal skriftelik na die organisasie gaan. Name change approved. Northern Province. Mnr Mark Kichenbrand is Hoofbeskermheer van SANPO. Venue and date for the 2016 National Show/Plek en datum van die 2016 Nasionale Skou. Datum en plek van die 2016 AJV. Port Elizabeth. Die naweek voor die Paasnaweek. Sekretaris sal datum bepaal en uitstuur. Die ledegeld vir 2016 is R60 per lid. Voorstel dat ledegeld vanaf 2017, R70 beloop en jaarliks met “CPIX” aangepas word. Address from the floor, including proposals and contributions for the present and the future, for information and consideration by the Board. Spreekbeurt vanaf vloer, met voorstelle en insette vir die hede en toekoms ter inligting en oorweging deur die Raad. Mark Kitchenbrand versoek dat lede en organisasies berigte na die duiwe boekie instuur. President ondersteun versoek. Finansiële komitee besig met ondersoek na beste belegging vie SANPO fondse. Graeme: Request that local fanciers should be invited to Friday evening after the Board meetings. Also need to look at TV coverage for the sport. Need to look at income generating streams for SANPO. Mark mention the system in Belgium with the selling of pigeons. Pigeon liberation points. Needs to be in the SANPO website. Faunty bespreek ook verskeie suksesvolle inisiatiewe wat plaasvind in sy streek. Melding word gemaak van hulp met duiwehokke, versorging van duiwe en die werwing van nuwe lede. Die President het die teenwoordige lede bedank vir die vergadering.